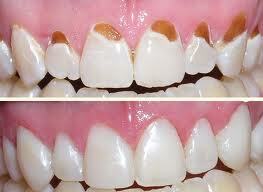 A composite is a tooth colour material used filling teeth. 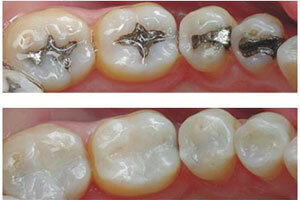 Composites are used for cosmetic improvements of smile by changing colour and reshaping broken or disfigured teeth. Compared to silver fillings which black in colour, aesthetics is the main benefit of composite fillings as its white in colour. Since dentist can blend shades to create a colour nearly identical to that of natural tooth. 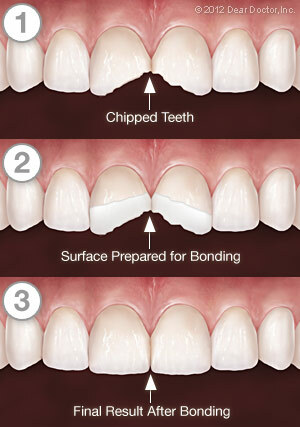 Composites bond to the tooth to support the remaining tooth structure, this helps to prevent breakage of tooth. After receiving composite filling patient may experience post-operative sensitivity. Also shade of composites can change if patient takes tea, coffee or other staining foods.Composites can wear sooner than silver fillings. However improvement in composite material and technique has largely overcome the problems. Teeth jewellery is a brilliant way to add sparkles to your smile and stand out of the crowd! The trend is catching up with males, especially those heading towards foreign destinations for study or leisure. However, not many girls are visiting clinics and inquiring about tooth jewellery. But it is only a matter of time before this acquires universal appeal. An absolutely painless procedure, a dentist fixes a jewel on the tooth surface. 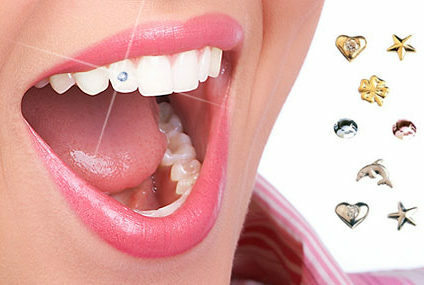 The jewel does not damage tooth tissues and has no side effects – except for the increased charm of your smile! Call it an oral fashion statement to stand out among ordinary mortals or simply an effort to blend in with the bold and the beautiful. If somebody thinks he or she was better off without tooth jewellery, it can be easily removed without any side effects on the dental tooth structure as the procedure is non-invasive. What’s more, tooth jewellery can be fixed again at a later stage. The jewellery does not tarnish, corrode or wear down. You can place a single piece or multiple pieces of tooth jewellery on one or several teeth. 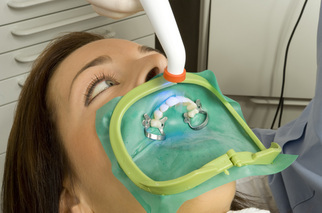 The procedure is totally painless and the tooth is not damaged in any way. The tooth jewellery does not cause any harm to the lip, cheek or gum. We only use jewellery that is accredited and specifically designed to be bonded to teeth. Unlike a tattoo or body piercing the tooth jewellery can be easily removed or changed by a dentist and your tooth will not be damaged.